Why Choose a Convection Oven? 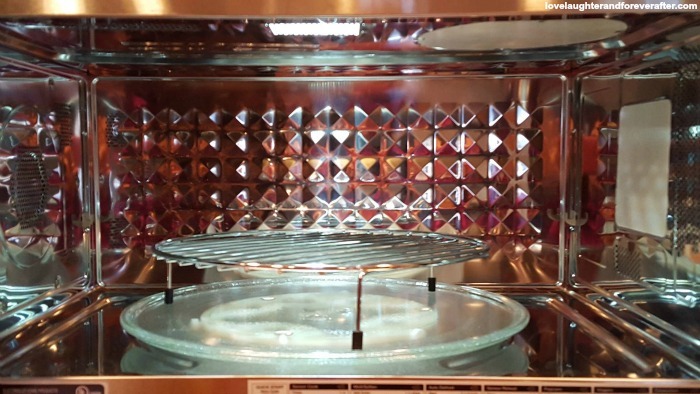 Why should you choose a convection oven microwave? I hope after reading my review, it gives you clarity on if this is the right choice or not for your family. This is my convection microwave review. The first thing you need to determine is if what you already have is doing the job. I had a microwave, range, and a cook top. I always found myself moving dishes in and out of the oven to, get the meal done on time. That prompted me to think about utilizing my space more effectively and get an appliance with dual functionality. I am all about saving time and money. I knew that choosing a convection oven would put a strain on my budget initially but over time, it would pay off. I was in need of a new microwave because after 11 years mine stopped cooking my food correctly and the handle kept coming off. I also wanted to upgrade to stainless steel, so I began researching my options. I started at my local appliance store and searched for in stock units in both the microwave and convection oven category. I didn’t want to lose the functionality that I have enjoyed for years by selecting the wrong unit. I wanted to make sure that I got everything I needed and more. I am also one of those people that looks at the initial investment and then divides the cost by how long I believe I will have that item and how often I use it. We use our oven or microwave oven twice a day. 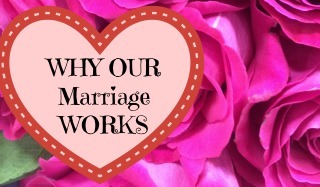 That is why I was interested in figuring out how it works. 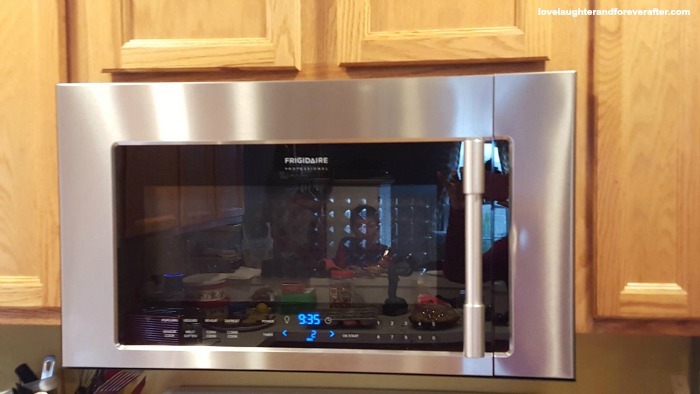 The convection oven is an oven that distributes the heat evenly around the food. The food cooks faster and more evenly, and that saves you both time and money. That is the reason why I selected the Frigidaire Professional 1.8 Cu. Ft. 2-In-1 Over-The-Range Convection Microwave model number FPBM3077RF? It is one of the best options in its class and the best option for us. The smudge free exterior was a big factor along with the size and the power sense technology since it can determine the best time to cook your meal. It easy to use and I was able to cook everything from cupcakes to corn on the cob. 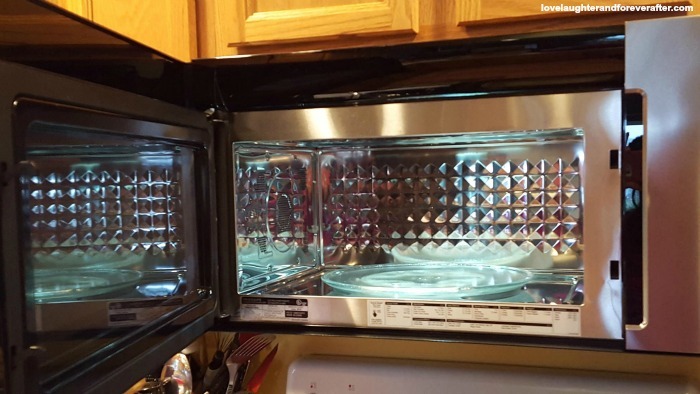 The oven easily switches functionality between the oven and a microwave. 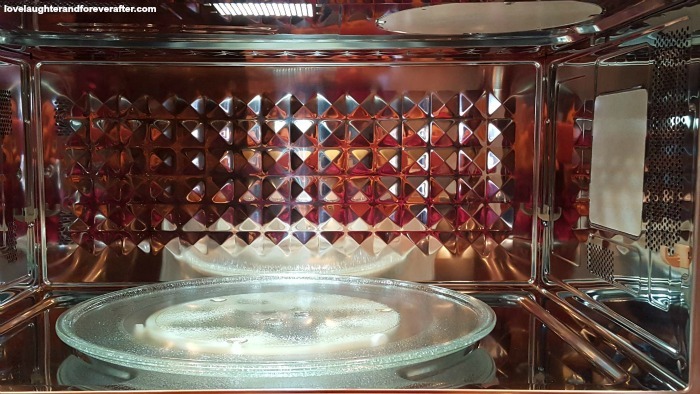 You just need to make sure that you remove any metal trays when using the microwave. The capacity of this unit makes meal preparation simple. The interface is easy to figure out. It was created to simplify your cooking process. It has a timer, buttons for defrosting, cooking popcorn, and more. It was easy to figure out, and it has upped my game in the kitchen. The oven also has a light that requires a lot less power than my old one. The oven/ microwave also use less power which means my energy bill will go down. The best part is that this has made my life easier. I am now able to cook a full meal all at the same time. I no longer have to take one item out, put foil on it and throw another one in to make sure that my meal is done on time. I love having the flexibility of an oven and a microwave without having to take up more space. I found that the price was almost double, but in the long run, the ease of use, the number of times I will use this, and the increased functionality will save me money. I know that a home-cooked meal is cheaper than one that you buy out, and I now have the ability to cook meals without the circus of juggling dishes in and out of the oven. I also got rid of our toaster oven since this replaces that as well which has freed up much-needed storage space in our kitchen. When your space and time are limited and you like a good meal, then a convection oven should be in your home.